You are currently browsing the BestOfBothWorldsAZ.com blog archives for the day Wednesday, September 1st, 2010. FDA Warning: Do Not Buy Isotretinoin Drugs Online! Isotrex: This drug is NOT FDA APPROVED! 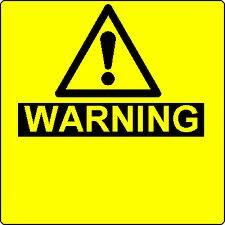 The FDA has sent out warning letters to company’s that are selling Isotretinoin drugs online. Isotrex is a topical Isotretinoin drug used to treat acne. There are not any topical Isotretinoin drugs that are currently approved in the US. The only form of Isotretinoin that is FDA approved is Oral Isotretinoin (Accutane), and it is very regulated. Isotrex is a category X drug, in comparison to Percocet and Tretinoin ( Retin-A) that are category C drugs. Do not confuse Isotretinoin with Tretinoin, although they are both Vitamin A derivatives, Isotretinoin can have severe side effects and is a category X drug. I worked for a doctor that prescribed Isotretinoin ( Accutane) and I was the i Pledge designee for the clinic. Every month I had to schedule patients for lab work, doctor’s visits, and register patients with i Pledge. I can tell you it is a lot of work. Because of isotretinoin�s teratogenicity and to minimize fetal exposure, isotretinoin is approved for marketing only under a special restricted distribution program approved by the Food and Drug Administration. This program is called iPLEDGE™. Isotretinoin must only be prescribed by prescribers who are registered and activated with the iPLEDGE program. Isotretinoin must only be dispensed by a pharmacy registered and activated with iPLEDGE, and must only be dispensed to patients who are registered and meet all the requirements of iPLEDGE. Isotretinoin is only dispensed one month at a time, so every months patients will need to return to their doctor to have a pregnancy test, and blood work done before you physician can register you for that month. Patients must also go to the i Pledge website and answer a series of questions and reregister every month. After you have met all of the i Pledge requirements you have 7 days from the date on the prescription to get your prescription filled at an approved pharmacy. If you do not fill your prescription within 7 days you are not eligible for another month. You will repeat this entire process every month for up to five months. Many insurance company’s do not cover Isotretinoin, and the cost ranges from $500 – $900 a month depending on the brand. Patients may also be responsible for covering the costs of monthly lab work and doctor’s fees. You should check with your insurance company to see what they cover. I believe that Isotretinoin is a good idea for some patients. If someone is suffering from severe or cystic acne and has exhausted all other options, they may want to consider Isotretinoin. There are many acne treatments available, if you are compliant and patient they are very successful. You should discuss options with your doctor. If you suffer from acne, call Paradise Valley Skin Klinic to schedule a free consultation.